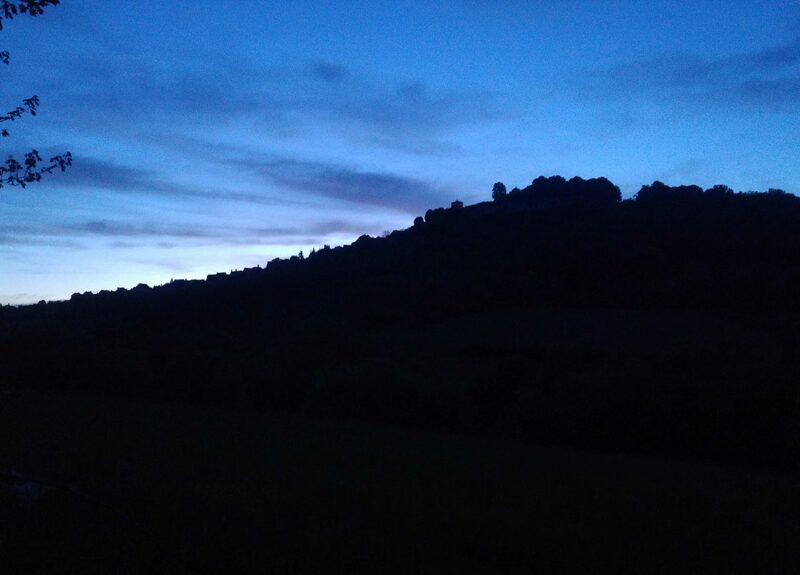 Besides the summer, the church and its crypt is often up to you alone. 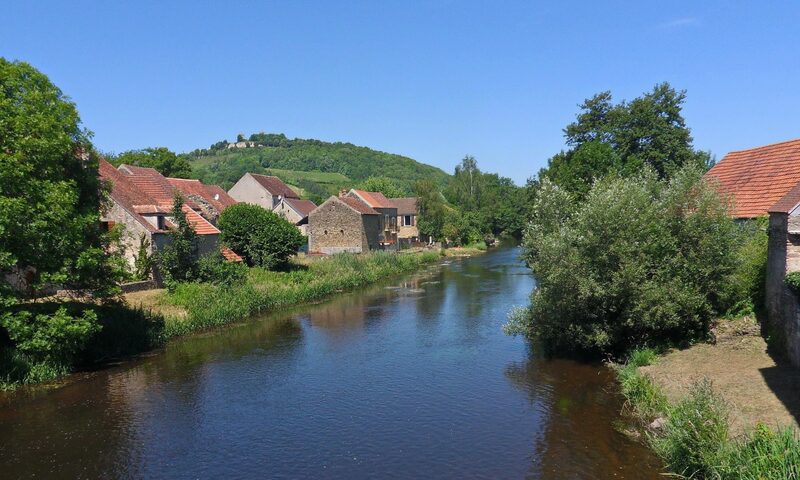 During the week that you stay in Saint-Père, you can go to Vézelay as much or little as you wish. 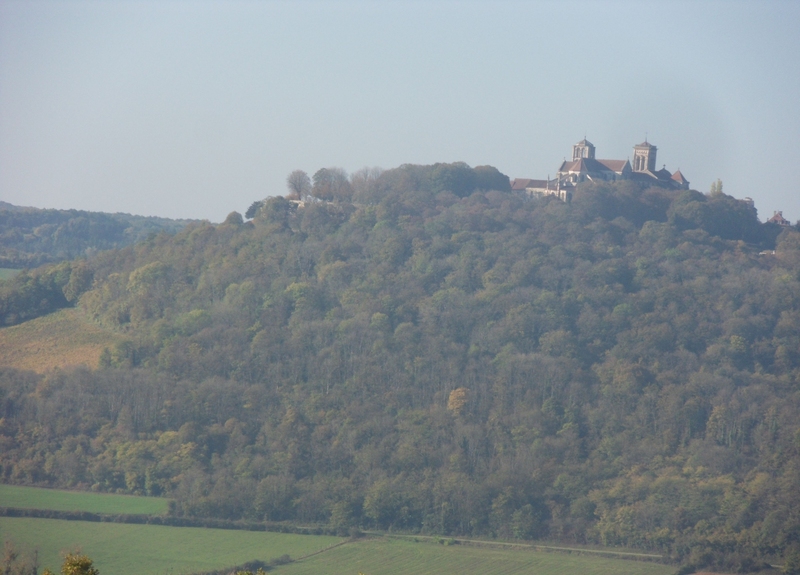 Walks tend to end automatically in Vézelay, where you can visit the church and its crypt or one of the other beautiful religious places. 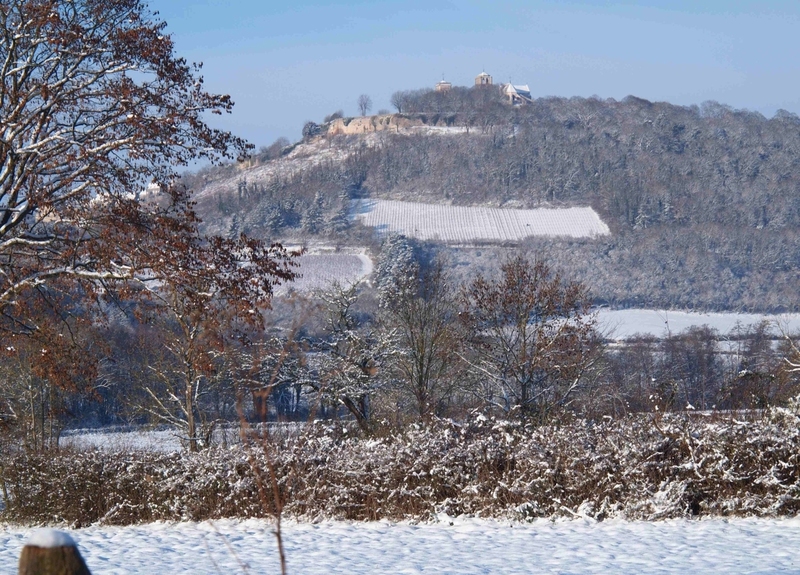 Those places in and around the Madeleine offer plenty of inspiration for those seeking sense and quietness. 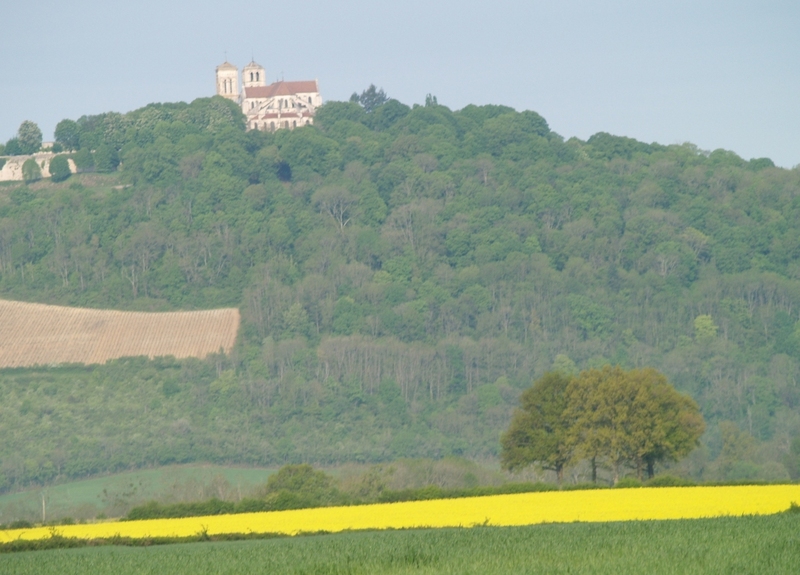 Just outside Vézelay, on the slope towards Asquins, lies the medieval chapel of the Franciscans. The doors are always open. Once upon a time the place of the cross next to it was a meeting place for crusaders who went on their way to 'the promised land'. This church is built as a symbolic universe, irreverently said, a medieval kind of reli-disney. The symbolism is not only experienced by discovering and deciphering it, but also by letting it affect you and by determining your relationship to it. By going inside and experiencing the symbolism, you become part of the geometric play of symbols. 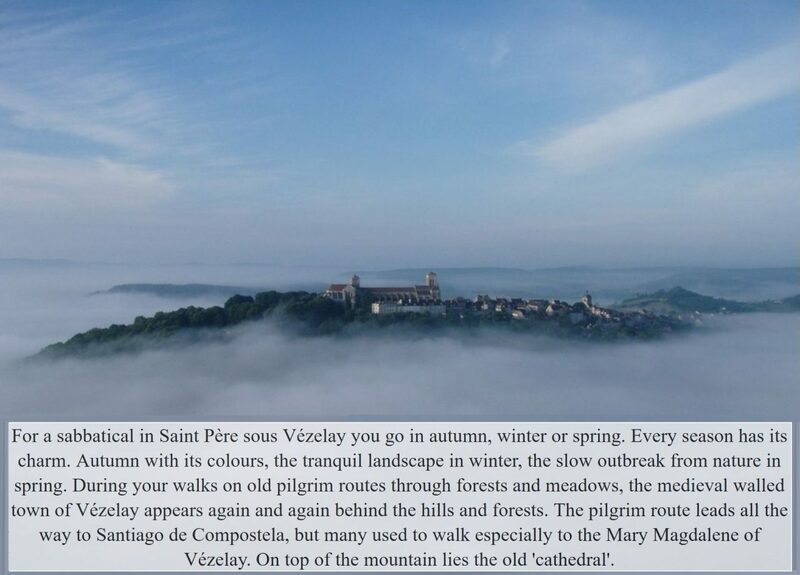 Vézelay is a journey of discovery, a pilgrimage around a place that little by little reveals its secrets. 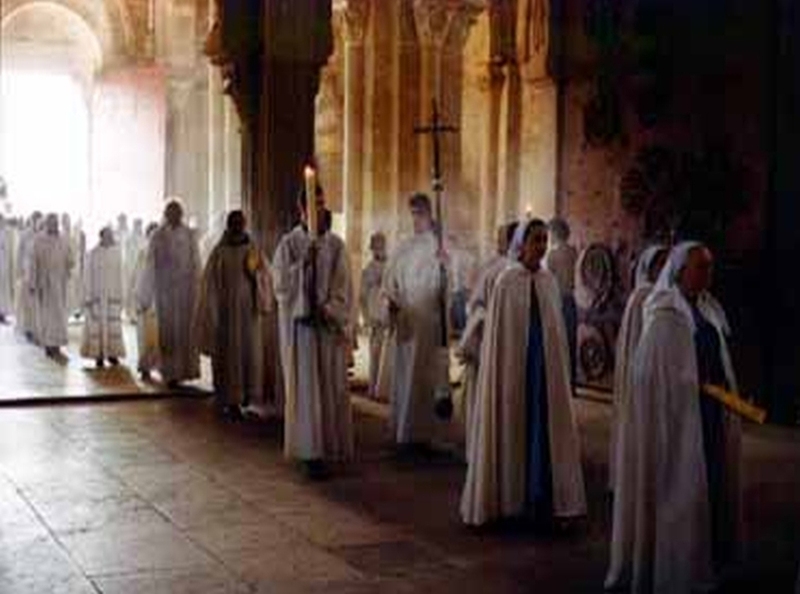 You will learn something about our medieval ancestors, about religion, and about life itself. 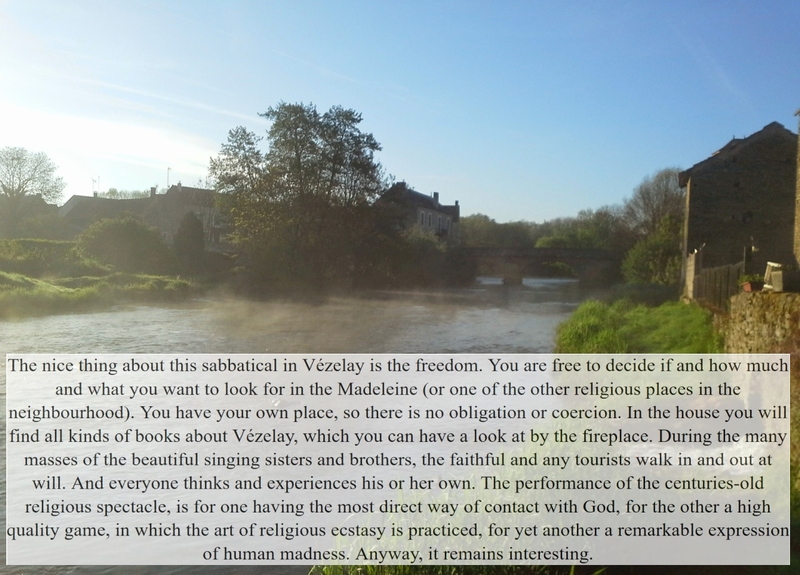 Vézelay attracts believers and non-believers - because you don't have to believe anything to experience something of the religious in Vézelay. More about this here. The street ran up with sloppy stones. as medieval times full of pilgrims. 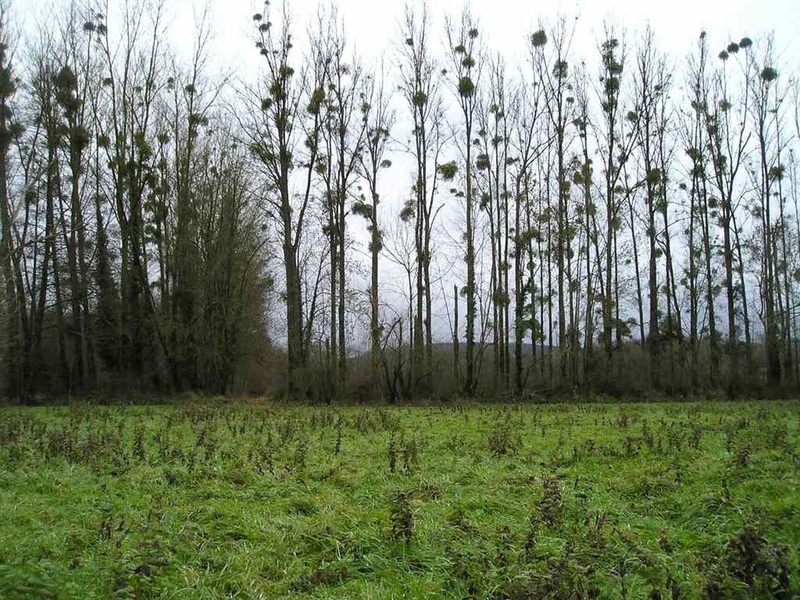 I should live there for a long autumn.